Rice husk, one of the biomass energy that is the by-product of rice mill can be used as the fuel for biomass fired boiler in rice mill in return. But generally, people are more concerned about the rice husk hot water boiler price before they determine to purchase it. ZG rice husk fired boiler would be better designed for medium and enormous scale installations. Buildings that currently use biomass rice husk fired hot water boilers include blocks of flats, visitors centers, school, hotel office buildings as well as airport terminals. Biomass rice husk boiler that could be too large or too wet as an example, can jam the fuel feed system, lessen the efficiency and reliability inside boiler or make control system to trip. Furthermore,It really is significant to be certain rice husk boilers receive with all the appropriate technique of fuel. It will eventually vary between biomass boiler types and sizes. Each biggest variables are particle size and moisture content. 1. Lower operation cost, have the steam pressure and water leave protect equipment for ensuring operation safe and reliable. 3. Hand-fired grate: Feed fuel and clean slag automatic. 3. It is a package biomass rice husk fired hot water boiler, just installation the parts are valve gauge, tube, forced draft fan, induced draft fan, flue, dust collector and water electric system at the field, then can start to work. Also has the feature of firing quickly, burning safely. 4. It is easy to transportation and install, lower capital investment. 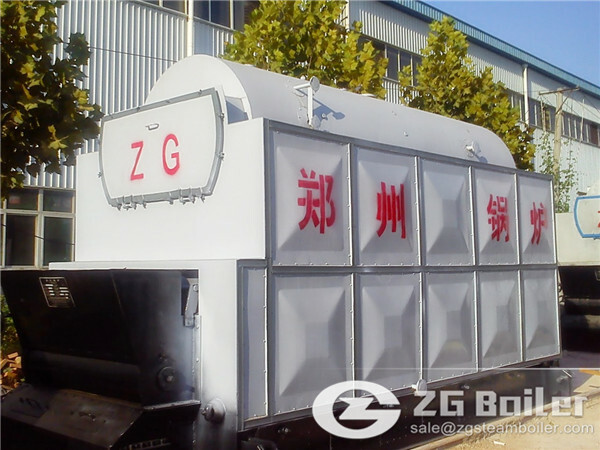 ZG as a biomass rice husk hot water boiler manufacturer provide those various fuels biomass fired boilers. And we would like to provide our customers good quality with competitive rice husk hot water boiler price.